Monmouth County Individual Adoption Lawyers, Family Law Attorneys | Law Office of Andrew A. Bestafka, Esq. If you want to adopt a child in New Jersey, an adoption lawyer can guide you through the necessary steps. By adopting a child, not only will your dream come true to become a parent, but also, you will be giving the love and stability that the child deserves. In New Jersey, the adoption process requires adoptive parents to follow specific procedures. Though it might seem a bit daunting, this process is designed to ensure that children are placed in the best and safest home possible – one in which they will thrive and feel happy. An unmarried individual who wishes to adopt goes through the same process that a married couple does. If you have the desire to be a parent, the love to give, the home to provide, and the financial means to support a child, then adopting as an individual rather than as a couple should not deter you. What are the criteria for adopting a child in New Jersey? Age – You must be at least 18 years old and be at least ten years older than the adoptive child. Marital Status – Unmarried individuals and married couples, alike, can adopt a child in New Jersey. Home – You must either own or rent your home. Health – You must be physically and mentally well to adopt. Part of the adoption process will require you to submit medical records to confirm that you are healthy. Financial Status – You must be able to demonstrate that you have the financial means to support a child. That does not mean that you must be wealthy. It merely means that you must be financially capable of doing the things that go along with being a parent. Residence – Whether you reside in New Jersey or outside of the state, you must go through the New Jersey adoption process if you are adopting a New Jersey child. Home Study/Adoption Education – All potential adoptive parents must go through a comprehensive home study. A lawyer can explain the home study and adoption education requirements depending upon your situation. At Law Office of Andrew A. Bestafka, Esq., two of our favorite parts of our job are seeing children find a permanent home and seeing the excitement of a parent who adopts a child. Contact us at (732) 898-2378, and we will work with you through the legal aspects of adoption. Even seemingly straightforward adoptions have legal hurdles that adoptive parents must go through. The adoption process can feel cumbersome. An adoption lawyer has been through this process with clients many times before. Decide the type of adoption you want. There are so many options. Domestic vs. International. Interstate vs. Intrastate. Private vs. currently in state custody. Do you want to foster a child first? Do you prefer to go through a particular agency? Do you want an open adoption where the birth mother has continued contact or a closed adoption where the birth mother and you/your child do not communicate? Agree to adopt the specific child available to you for adoption. Complete the home study, reference requirements, criminal background check, and 27 hours of pre-service training as outlined by the Department for Children and Families. Compete the six-month post-adoption period. During this time, the Department for Children and Families will continue to evaluate how well the child adapts to your home and is determined to be a good fit for your family. Issuance of Consent to Adoption. After a determination has been made that you are the adoptive parent that the child deserves, the court will finalize the adoption, and your child will be officially yours. From the initial filing process to discussions about open vs. closed adoptions to adhering to legal requirements, there are complicated details that accompany adoption. It is essential to have someone with extensive legal knowledge to help with these and other processes. There are also financial support mechanisms that can help adoptive parents with some of the associated adoption costs. We can talk with you about what might be available to you. Why should I choose Law Office of Andrew A. Bestafka, Esq. to assist me with my individual adoption? At Law Office of Andrew A. Bestafka, Esq., nothing brings us more joy than seeing a child in need of a home finally find a family. We are an award-winning law firm with wide-ranging family law experience. And our knowledge and experience helping parents through the adoption process is second to none. We have a five-star Google rating, and in 2015, we were recognized by the American Institute of Family Law Attorneys™ as being among the ten best family law lawyers by clients. Providing a home and family to a child who has neither is one of the most rewarding and caring things a person can do. We want you, the adoptive parent, and your future child to forever have each other. At Law Office of Andrew A. Bestafka, Esq., we can provide answers to your questions and help give you a roadmap to adopting a child. In New Jersey, the individual adoption process requires adoptive parents to go through the same steps as married couples. And, except for some international adoptions in certain countries, not having a partner does not impede adopting a child. Let us help you. If you are looking to adopt a child as single individual, then we want to help make it happen for you. Law Office of Andrew A. Bestafka, Esq. 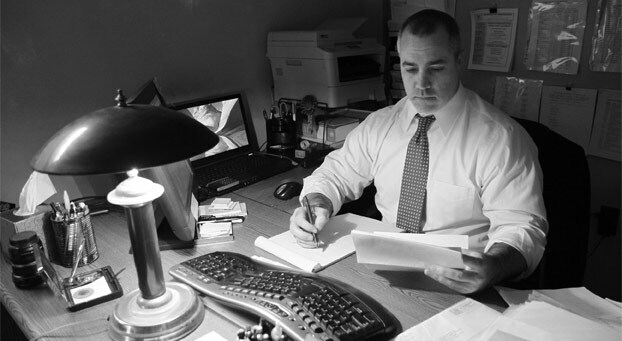 handles a multitude of family law cases. Contact us at (732) 898-2378, so we can schedule a time for you to come to our office. During this free case evaluation, our adoption attorneys will discuss the specifics of your circumstances, talk with you about the rules that govern adoption in New Jersey, and hopefully, help you adopt a child.